An Indian separatist group says the son of its military wing chief, who was kidnapped in Bangladesh, has now been released. Paresh Barua, senior United Liberation Front of Assam (Ulfa) leader, alleged last week that his teenaged son Arindam Barua had been abducted. The kidnappers were putting pressure on him to negotiate with India, he said. Indian intelligence officials dismissed Mr Barua's claim. Ulfa has fought for a separate Assamese homeland since 1979. 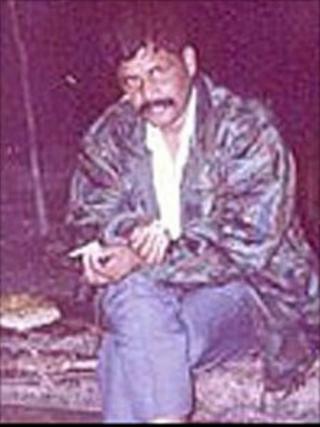 "The kidnappers tortured him and tried to find out about Mr Barua's locations, financial assets and investments," Ulfa said in a press statement on Friday. "They asked him to call up his father which he could not do because he had no idea about Mr Barua's location. "Now he has been released but he is traumatised," the statement added. Last week, Mr Barua alleged that his son was kidnapped but did not provide details. although he alluded to "an Indian conspiracy", the rebel chief was not specific about who could have been behind it. Indian intelligence officials dismissed Mr Barua's claim. They said the Ulfa was divided on the question of whether to join the peace process with India. Mr Barua has opposed negotiations, saying there could be no dialogue with India unless the "issue of Assam's sovereignty" was on the agenda - something that the government refuses to accept. A spokesman for the group's pro-negotiations faction, Mithinga Daimary, had dismissed the reported kidnapping as "a fiction".